Live Event In Progress... Check it Out! 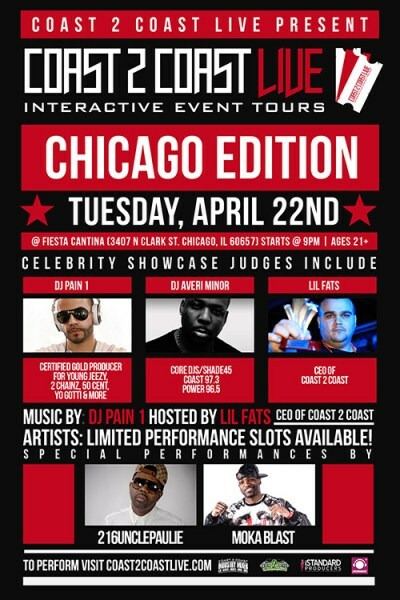 Coast 2 Coast LIVE events create a platform for artists to expose their brand and music to Celebrity Judges, DJs, Media and more in over 10 major markets around the US every month. For more serious artists, we have created a package to feature on a 5 Date Promo run during the tour. This helps create a one of a kind marketing campaign for your career and allowing you to network with hundreds of key contacts to take your career to the next level!